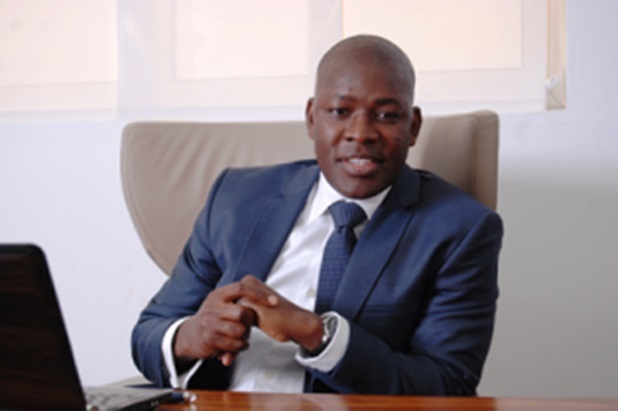 The World Class Entrepreneur, Roland Agambire says- "Poverty is a Perception". 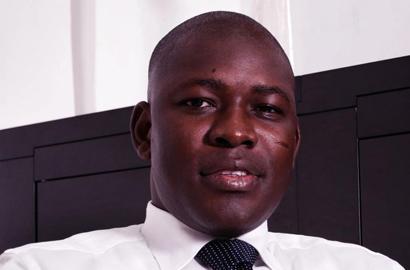 The World Class Entrepreneur, Roland Agambire says- “Poverty is a Perception”. Often times life deals us heavy blows, yet we remain. The flood surges, yet we stand strong. We fall, oh! Yes we do, but we don’t remain there. We see reasons to give up and run, but in determination, we press on. It’s our choice, our decision; forward ever, backward never! Verily, it’s in our moments of decisions that our destinies are shaped. At six, Roland Agambire took a decision that shaped his destiny forever. Though helpless and in lack, the little boy had a focus. Unrelenting and determined, he refused to relegate himself to the hostile extremities prevalent in his society. Instead, he sought measures to break free from the shackles that held his family bound for years. The price was huge but it surely had to be paid. Born on 19 April 1974 in Sirigu, a farming community in northern Ghana, his father reportedly had about 50 children and his mother was the sixth of his father’s 10 wives, Roland learnt life’s lessons in the most difficult and uninteresting way. One can only guess what life would be like in such community. Poverty in its extreme, discomfort at its fullest. Roland recounts how he had to share a mat like prisoners in a crowded jail with about ten (10) of his siblings. No way for an innocent child to grow. To make a head way, the little boy started roaming the streets, picking coins carelessly thrown about by older persons drunk on liquor, and then invested them until it was enough to pay his first school fees. “At that time, going to school was a struggle, all they wanted you to do was to grow into a shepherd boy, to be part of the domestic services, but I broke out of that.” He told Forbes magazine. He started his education in his hometown in Sirigu, from where he proceeded to Navrongo Secondary School. During his days in Navasco, Roland recounts how he used to move to the Capital, Accra during vacations to do odd jobs like truck pushing, washing bowls in chop bars and even selling kuli kuli (a local snack made from peanuts) in order to pay his school fees when school re-opened. When it seemed like business was not booming, the young entrepreneur thought to change his line, he tried ferrying cigarettes, kerosene and petrol across the border between Ghana and Burkina Faso. All in a bid to survive. 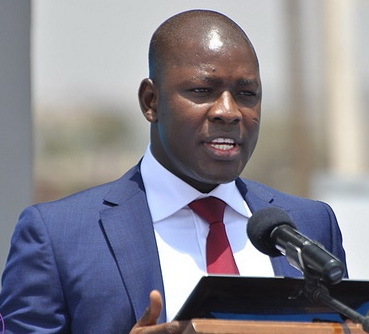 He later went on to St. John Bosco’s Training College where he earned a Teachers’ Certificate, before pursuing various courses with the Ghana Export Promotion Council and later earned a Bachelor’s Degree in Business Administration from GIMPA. Today, Roland’s lifestyle is a far cry from the days of his humble beginnings; he has fought the good fight, now he is a veteran in his own right. The once hungry and helpless teenager now has an annual turnover of more than $2 billion and employs more than 500 permanent staff and over 10,000 casual workers through his AGAMS Holdings. In 2000, he invested his first $200,000 into an Internet café business in Accra; the dotcom age arrived and soon he was importing computers from the United States, and providing after sales support and computer networking services to Ghanaian businesses. Again in 2001, he established a mobile phone repair outlet under the name Rogam Links which with time, he transformed into the first indigenous ICT assembly and technology Institute in Ghana and the West African sub-Region, rlg Communications Ltd., a company that employs close to 500 personnel. This survivor is currently the Chief Executive Officer of Rlg Communications and Chairman of AGAMS Group, a firm that has interests in oil, construction, computing and telecommunications, financial services and trading. The Rlg Group currently has presence in China, Dubai, UAE, Nigeria, Kenya and The Gambia, South Africa, Ghana, Rwanda and still expanding. Despite the troubles and hardships that sought to muffle the great dream of this young entrepreneur, he never said never, all the while, he marched on like a valiant soldier; with his mind perpetually tuned to positivity. The forty year old first class entrepreneur has taken control of his destiny, and continues to dream big. He envisions creating 1 million jobs by the next three years. As expected, the astute entrepreneur has won several local and international recognitions and awards for innovation, entrepreneurship, commitment to growth and philanthropy. In September 2012, he made history by becoming the youngest person to be awarded the Chartered Institute of Marketing Ghana (CIMG) Marketing Man of the Year for 2011. In 2011, one of his products, a Rlg phone, was also declared Product of the Year. Again in the 2012 Rankings of the Ghana Cub 100, Rlg was ranked the 2nd Best Company in Ghana by the Ghana Investment Promotion Centre. And in the 2013 Rankings of Ghana Club 100, Roland’s Rlg was ranked the 1st Best Company in Ghana by the Ghana Investment Promotion Centre. The company was also adjudged the Fastest Growing Company in Ghana, the Leader in Ghana’s ICT Sector and the Best Entrant to the Club 100. The South Africa-based African Leadership Network named Roland among 12 finalists in the 2012 Africa Awards for Entrepreneurship. In January 2013, the Pan African Television Network, E-tv voted him the Most Infleuntial Ghanian for the Yyear 2012 in a poll it conducted among its viewers and later emerged as the Entrepreneur of the Year 2012 in a competition organised by the Entrepreneur Foundation of Ghana. He recently made global media headlines after unveiling ambitious plans for the construction of one of the biggest development enclaves in Africa, known as the HOPE City (Home Office People Environment) at an estimated cost of $10billion. The project is expected to provide jobs for more than 50,000 people and will also have some of the tallest skyscrapers in Africa. Roland, is married to his lovely wife, Miriam Agambire and they have three lovely kids. Roland has fought the good fight for his destiny, and has since gained the mastery, he had every reason to quit but he forged ahead. Now he reaps the fruit of his struggles. Like Roland, fight for your destiny. You are source of inspiration to those want to be entrepreneur like you. Keep the flag flying.. Thanks for visiting Charles; we are glad you are inspired! We cant wait to tell your story! Of a truth if it can happen with Roland in Ghana, then it can Happen anywhere, even in Nigeria. Kudos Jennifer, I was inspired.